Pair or flip flops or thongs in bright colors, yellow, pink and tones of blue perfect for your summer and beach themes. 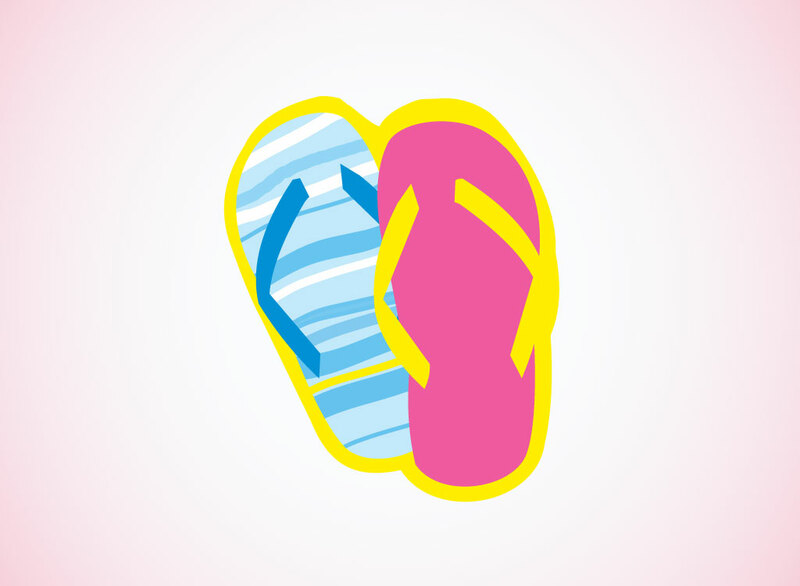 Add the flip-flops to a collage along with sunglasses, an umbrella and beach ball for a fun seasonal design. Free download for all your recreational and water sports projects. Tags: Beach, Casual, Fashion, Flip Flops, Flipflops, Holiday, Shoes, Summer, Thongs.